C’est la vie! No worries, Mate! Om! I just finished reading “Eat, Pray, Love” and it was not a book that I really enjoyed. Call it a respect for books or call it obsessive compulsive but I usually don’t leave a book mid-way. No, this blog is not about my analysis or criticism of the book I usually don’t read memoirs but I picked this up because of all the media attention that it received and also because a movie was made from it with my favorite, Julia Roberts. In order to understand the blog, I have to give a gist of this book for those of you who have neither read nor seen the movie yet. The book is about the author’s divorce, a marriage that she decides to end because she didn’t want to have a child and settle down but then goes into a guilt trip looking for answers to justify her divorce and her actions. She re-energizes herself and gets her husband’s forgiveness through meditation and thus releases herself from the past. How does she do this? She takes a year off of her life to follow her dreams. She travels first to Italy to learn her favorite language and to indulge in some authentic Italian food. I love Italian food and I must admit her writing was amazing because it made me feel so hungry even after a full meal. After 4 months she goes to India and lives in her Guru’s ashram to meditate and frees herself of all the guilt and past. Her last stop is Indonesia where she falls in love again. Eat, Pray, Love, get it? What inspired me to write was the year long vacation to re-energize, rediscover her priorities and to enjoy life. How many of us would love to do this? She took this huge step at the darkest hour of her life. But do we have to wait until we lose grip of our life and ourselves? Life is unpredictable and sometimes does not turn out the way you would have imagined or even planned. To top this we all lead a busy life day in and day out carrying out the same mundane functions like a machine. Even our vacations are pre-planned with times etched out on when we should eat and when we should sleep and when it should end. We are always running to catch up with time or are so stressed about being late. Let me hypothesize that I have the courage to get away from everything and everyone (those of you who know me will laugh at me ‘coz I have no such courage) for a year. What would I do with so much time? Here are the things that I have always wanted to do and I’ll tell you why. I have immense love for this city, almost like a crazy passion ever since my visit in 1998. I have always dreamt of living here and want to be able to speak the language like the locals. There is something about the French language that is so romantic. In fact it is included as one of the “Romance Languages”. Everything about this place is so beautiful, romantic and fashionable from Renaissance architecture to the art collection in the museums, the fountains and the way people dress. 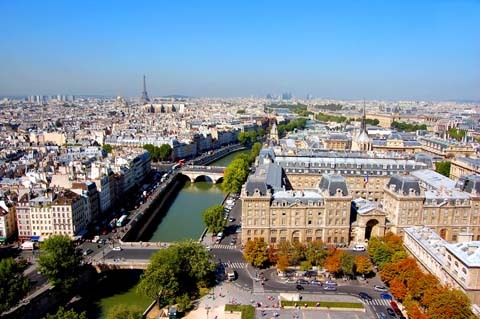 I want to savor every bit of the Parisian lifestyle visiting the cafes, indulging in some fine wine and cheese. I wouldn’t mind becoming an apprentice at a fashion house just to feel the pulse of how fashion unfolds in this country. I want to travel by train in and around France and tour the neighboring countries of Italy, Switzerland and Austria. Last but not the least I want to stay in the French countryside for a while and spend long blissful evenings sipping wine and savoring Camembert and Brie cheese. Now that I have relived the romance and beauty and re-energized myself I am left with 6 more months. The next thing that I will do is to travel down under. This is one country that I really want to go see at a leisurely pace and enjoy the coast from Cairns to Melbourne. 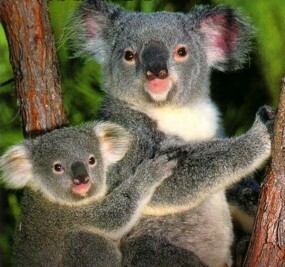 I specifically want to see the Twelve Apostles (only 11 now), Great Barrier Reef, Uluru and wait for it… a koala bear. The last stop will be my home country with my parents. I want to just live there for the rest of my 3 months and reconnect with my parents, friends and my culture. I want to learn Yoga and Vipassana meditation and hopefully acquire the eternal peace of mind. But seriously I have to win a lottery or get a surprise inheritance from a long, lost relative (where are you?) to manage this year long vacation. Well, you never know! For now I am thinking of taking ten minutes in the day to do extra something that can give me a smile. For example read a book before going to bed which is my way of unwinding but there are so many things that can be done like taking a beauty bath or read to your baby before tucking them in or catch a TV show with your partner etc. As for weekends, I want to take 2-3 hours for myself to either go shopping or hiking or write a blog whatever that can give all of us the peace of mind. Let’s not let family, work or society dictate our lives. Lastly, take an annual vacation and actually go away from home or let me warn you my friends that if we don’t we all will end up washing dishes. Getting away does not mean expensive vacations or a year long vacation. But it is a matter of switching off the blackberries and reconnecting with family and most importantly SELF. Think about it and plan a fantastic summer vacation filled with love and peace and don’t forget to pamper yourself.